A name is just a name…right? Adonis “Donnie” Johnson (Michael B. Jordan) has lived a tough life during his 20-something odd years on this Earth. He’s been in and out of group homes never knowing his mother, or his father, who happens to be the deceased boxer and former heavyweight champion Apollo Creed. Adonis, like his father, is a hell of a fighter. But, after realizing his connection with the legendary prizefighter, he knows he needs to go all in to realize his true potential, knowing, however, that he wants to make it on his own without his father’s name. Which means leaving Los Angeles for Philadelphia to be trained by Rocky Balboa (Sylvester Stallone), now old and less than enthused to have anything to do with the ring. But, sensing something special in the kid, he relents, as Donnie may just have what it takes to be as good as, if not better than, Apollo. It seems like most, if not all, boxing movies pack the same punch story-wise, from the more recent Southpaw to the granddaddy of boxing movies in Rocky. Really, Creed kind of follows the same structure. But, with that said, Creed is a complete crowd-pleaser. And, even though it is a standard boxing plot (coming up usually in a struggle, training, the main event), there are real surprises that give a movie a freshness that I did not know could exist. “Your legacy is more than a name,” is the tagline, and message, that Creed carries. This message is one that isn’t seen too often, and makes a perfect point about accepting your “name,” history, and all that it entails while still making your own name and history. For some reason, I found this to be message and plotline to be hooking. As stated, this is the standard boxing tale of the rise of a fighter. But, the story doesn’t feel so rote because of the extra steps it takes to highlight aspects that aren’t about boxing. The fights outside of the ring are just as compelling as the ones inside of it. A few moments and dialogue can be a little corny, but it wouldn’t be in the Rocky universe without a little corniness and unintelligible speech, right? 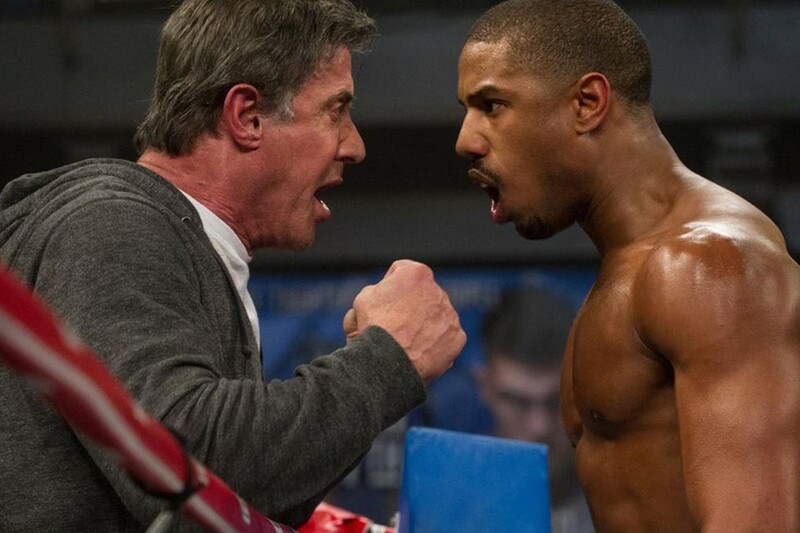 Make no mistake though, the action inside of the ring is a spectacle, filmed by Ryan Coogler (Fruitvale Station). He cares about the product that he’s putting out, mixing in many different camera shots (can’t remember the last time over-the-shoulder looked this great) to capture the sweet science so fluidly. The boxing is edge of the seat thrilling, with a haymaker of a score (with an great soundtrack as well) composed by Ludwig Göransson that brings in elements of the prior Rocky movies but ultimately making something original. If there were those who believed that F4ntastic was a body blow to everyone, including Michael B. Jordan, involved in it, his knockout work as Adonis Creed proves that the man has a lot of staying power, if that wasn’t clear already. Adonis is a great character, with more to him than a man who just punches another man. Not to spoil anything as I believe the trailers did a relatively good job, but an early life reveal gives the younger Creed a ton of meaty backstory and actually differentiates him from most other cinematic boxers from a narrative perspective. He’s a complex character in the opinion of yours truly, full of confidence and self-doubt, his own man but not completely. Jordan gets the opportunity to show all of these aspects of his character and then some, and in the ring, he absolutely owns it, as fluid and natural as an actor can be. And though this shouldn’t matter, visually, he does look like he could be Apollo’s son. Whoever thought that Rocky could ever be just as good of a trainer as Mickey was? 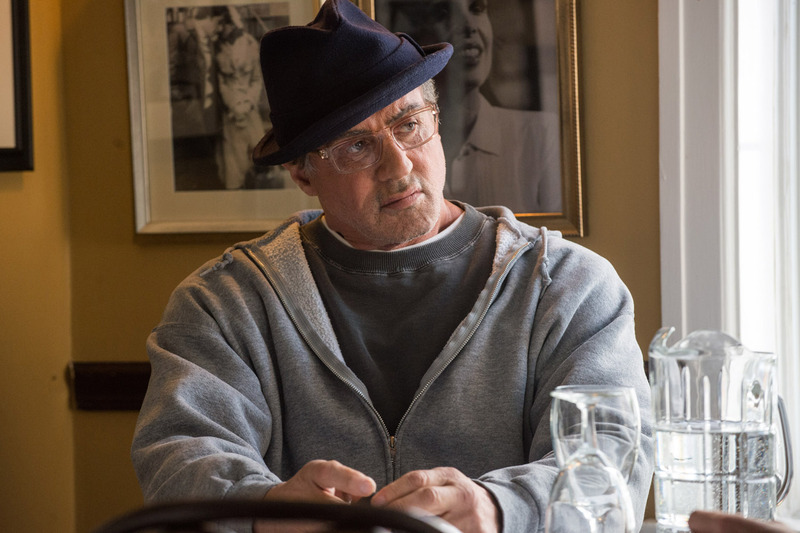 As the old sage who is ready for life to pull the plug on him, ol’ Sly Stallone is better than he’s ever been since the first Rocky. He feels like a real character, going through real things that a man Rocky’s age goes through, both physically, mentally, and emotionally. Criticism has been given to Sly in the past for taking too much responsibility in films he appears in and not excelling in one particular area. Here, with a little creative control, he’s just asked to act, and he’s all the better for it. 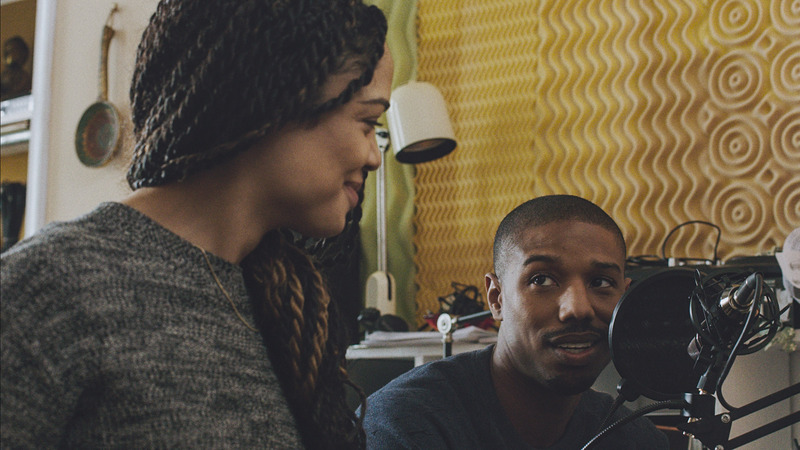 Tessa Thompson’s Bianca levels out the intensity with the type of support that Creed cannot get from Rocky. As far as in-ring opposition goes, the “big bad” played by real life fighter Tony Bellow may not be all that memorable, but he is a competent foil for the titular character, and in the story, it makes sense as to why the finale would happen. The sport of boxing itself has been on a steady overall decline, but with Creed, there may be a future for it on the big screen. With a dazzling three punch combination of excellent writing, superb acting, and detailed production, Creed lands flush and precise punches. Photo credits go to theatlantic.com, and popinquirer.net. Please do, man! If you like boxing movies, I’m almost certain you’ll love this. Nice finishing line dude, agreed that this movie is a solidly written as well as acted bit of boxing drama. Doesn’t do anything unique but it manages to justify that the old tried-and-true formula is set up the way it is. Creed builds so much momentum going into each fight that when those fights happen, you honestly care about the outcome. Oh, I just really dug this one man and wasn’t expecting too. A lot of that has to do with the wonderful chemistry between Sly and MBJ. I actually saw them previewing this film during a post-game report on TNT the other week and at first I wasn’t very convinced in the way the two were selling it. But that might have more to do with the fact they couldn’t really say too much without giving things away. So it was kind of awkward. I wound up seeing it and, yeah. Very much impressed. I thought there would be a great likelihood that I would have liked this, but man, I love it and am still thinking about it. One of the year’s biggest surprises easily, as you’ve said. Just posted a review of this after seeing it this morning. Man this thing was such a surprise. On paper I thought this sounded dreadful. Happy to say I was wrong. We wholly agree on this. This is a great film. Absolutely. Still thinking about it, and I’m shocked to say this. This will be a definite Blu-Ray buy and I’m trying desperately to see this again. Feel the same. Just got to me in surprising ways. Need to see it again. I felt the same way. 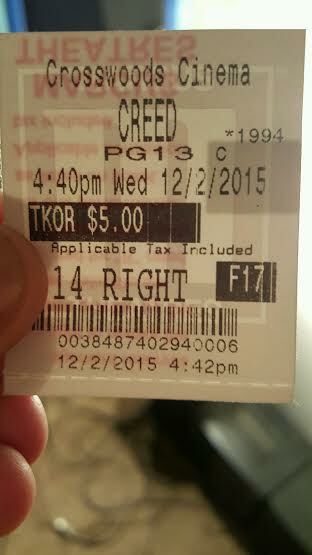 I was not expecting this movie to be as good as it is. It’s one of my favourites from 2015. Yes! Trying to fins time to see it again on the big screen. I think it is enhanced on the theater, though I’ll definitely buy on Blu-Ray. One of my favs of 2015! And, so well written. A true surprise.